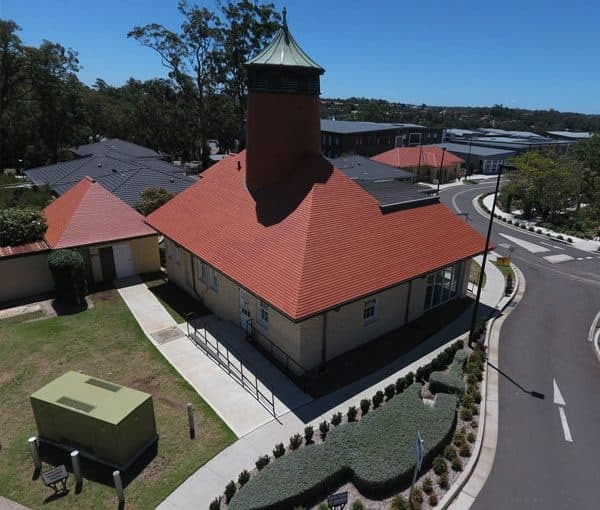 Slate Roofing Australia was contracted to reroof the historic Tower House, replacing the existing terracotta roof with terracotta shingle tiles from Koramic. Although considerably altered, this unusual late-Federation servant’s house retains its most significant feature – the complex hipped terracotta tiled roof and cylindrical water tower with bellcast copper roof. Slate Roofing Australia replaced the roof of historic Tower House with Belgium-made Koramic terracotta shingle tiles in 2016.